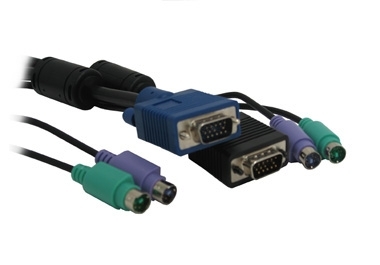 10 metre 3-in-1 Slimline single sheath cable that connects your PS2/VGA computer to your KVM switch. You will require 1 cable per computer..
10 metre 3-in-1 Slimline single sheath cable that connects your PS2/VGA computer to your KVM switch. You will require 1 cable per computer.